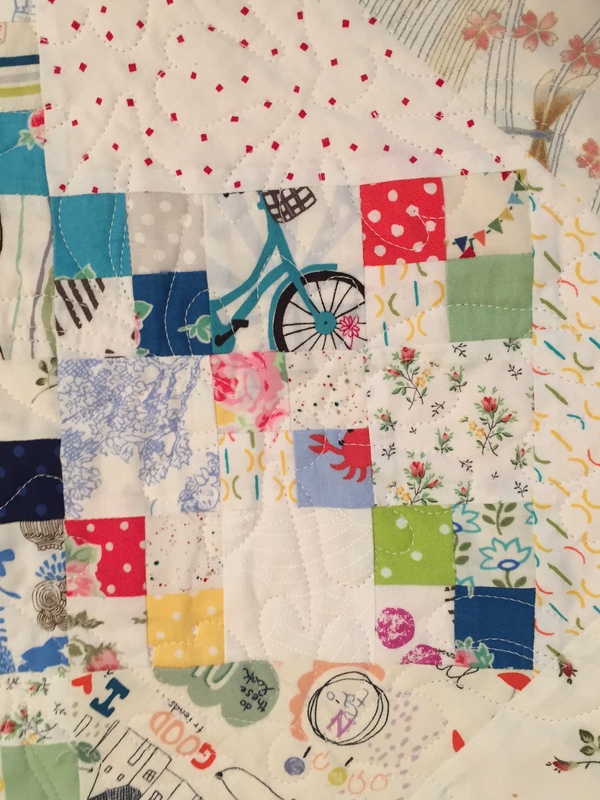 What a good time I had making this baby quilt. 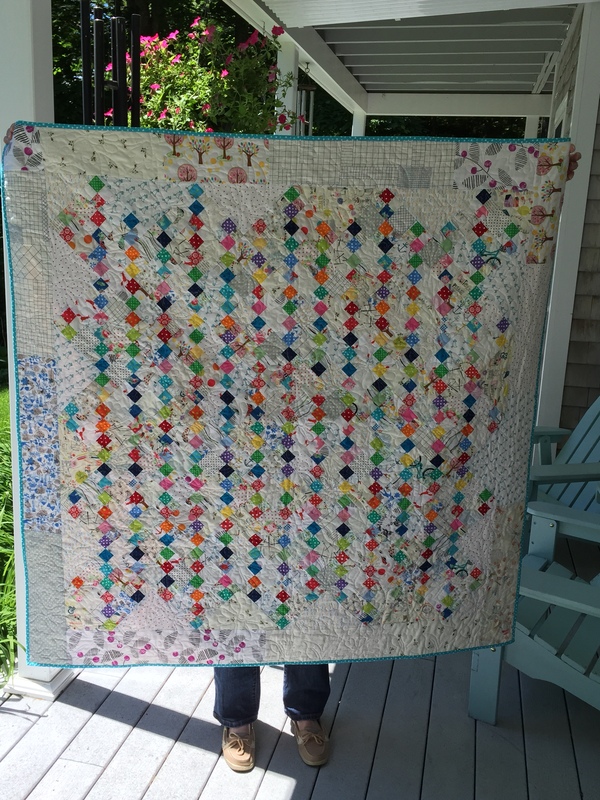 The design came from Lissa Alexander and her quilt was featured in the American Patchwork and Quilting Magazine‘s four-patch challenge earlier this spring (April issue). I used Anne Bright’s 10″ “He Loves Me” pantograph with a cream-colored thread. 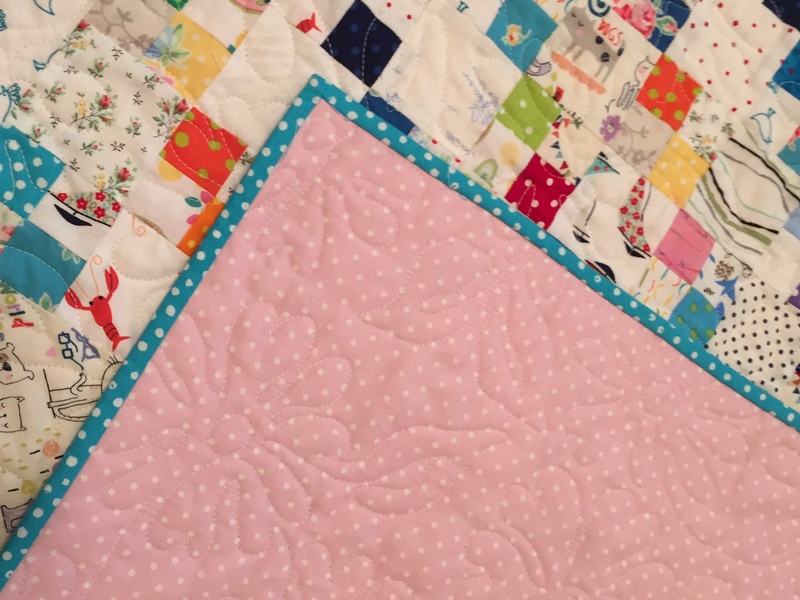 The quilting is lovely if I do say so myself! Lissa used different fabric borders around the edges–and I really liked showcasing some of the very modern “neutral fabrics on the market today. 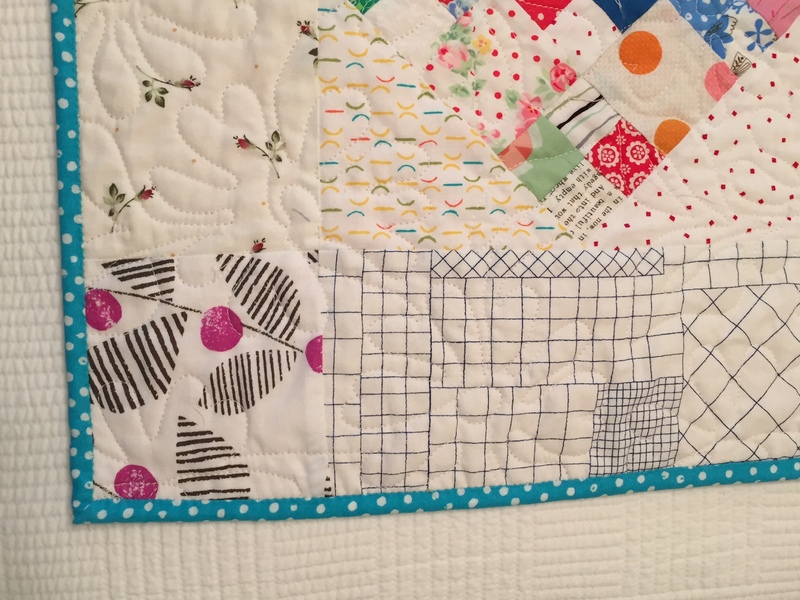 The block is actually pretty simple–a nine patch featuring a light/dark four-patch and neutrals. 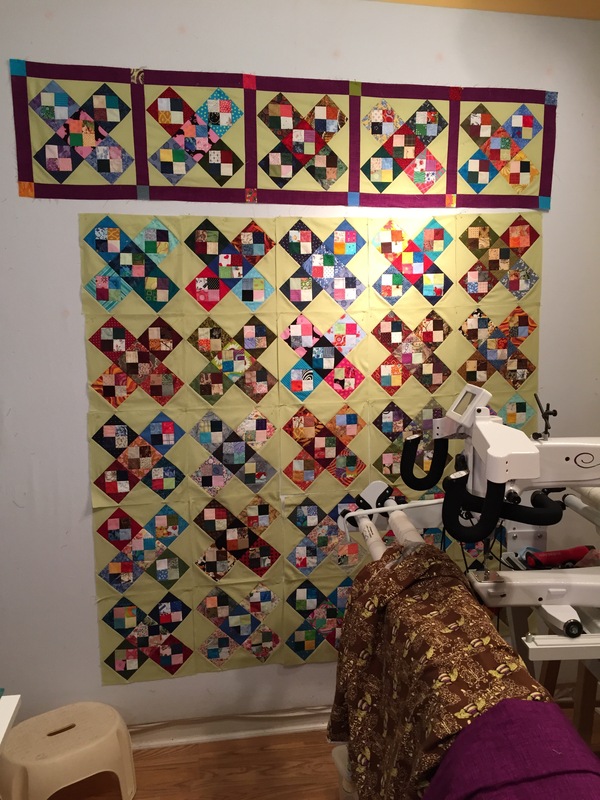 I am already thinking how this block would work with my stash strips–especially the 2 1/2 ones combined with neutrals. These little squares are 1-inch from 1 1/2-inch strips. Bonnie’s block for this challenge is so much fun. Here’s my version. I’m going to use a yummy purple sashing. 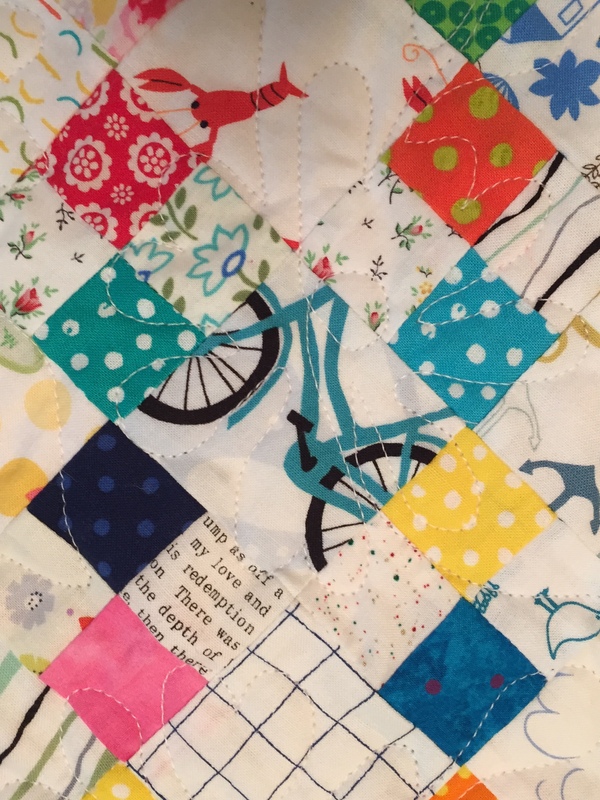 I was going to just sew the blocks plain and, maybe, quilt them in the more modern style. But I found this yummy purple fabric and I think the cornerstones will carry the eye down the lines of dark squares. Or at least I hope so. The next row will tell. I bought this brown/green bee fabric some years ago for a backing at something like 40% off. 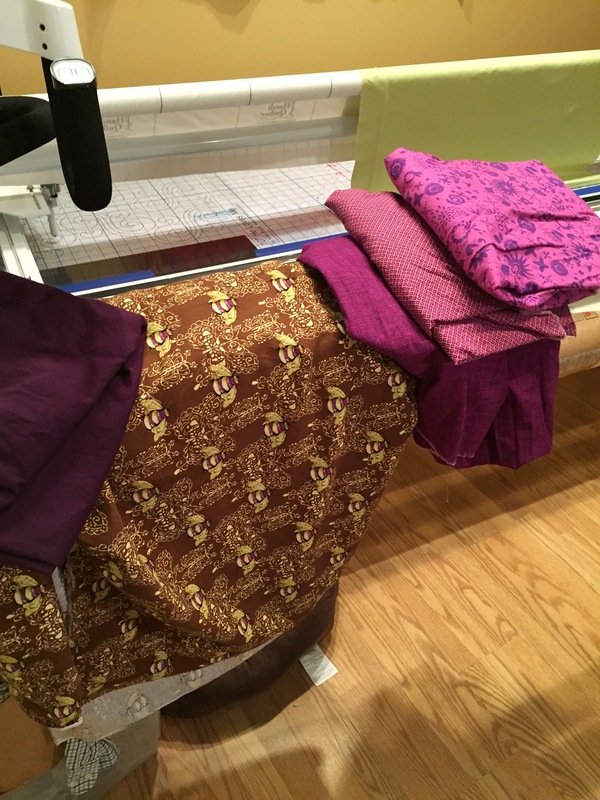 The binding will be the dark purple on the left. The printed magenta will be the outer border; the tiny square an inner border, and the solid is my sashing. It’s not really solid as it has a lot of texture in the print. Making these four-patches and setting them into a square is…addictive! My 2-inch square AND 3 1/2-inch square bins are going down in size with this project. your blog for awhile and I love what you have made and are making. 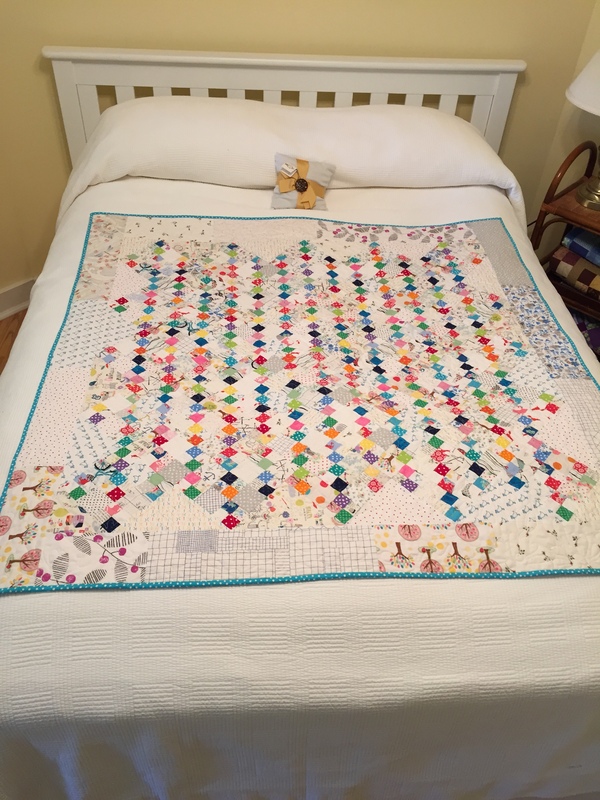 I definitely like the rainbow squares quilt. 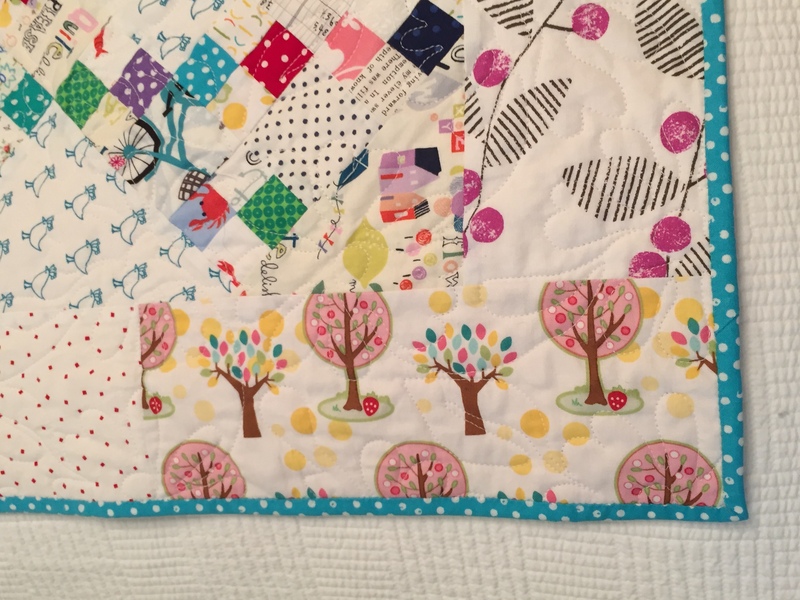 Your quilting design choice is so happy in it, too.